‘Ice and a slice’ is now an extinct phrase in the gin world. Your favourite gin now comes with a range of tonics, a concoction of pink peppercorns, grapefruit slices and rose petals; all served in a fish bowl sized glass. But your standard Gordon’s just won’t do anymore. 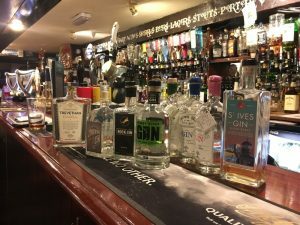 People want more from their gin, whether it’s the wacky flavours or the personal touch, and it seems Cornish gin encapsulates the latter to a T.
As I walked into Dolly’s Gin Palace in Falmouth, I was welcomed with a beautiful, glass goblet full of gin and tonic with a garnish of orange peel. Over 200 gins stood before me, amongst the 1920’s inspired décor. 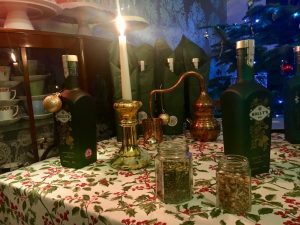 I was attending the launch of Holly’s Gin, the latest edition to the long list of independent Cornish gins. The candle lit room was full of gin enthusiasts all sipping on their tipples to the tune of an accordion – it was all very theatrical. “Cornwall is almost like a brand in itself,” she told me. And it’s true. Cornish gin distilleries are popping up all over the county, all offering their craft gins. Perhaps inspired by the front runner, Tarquin Leadbetter, who went from being stuck in his London office to winning ‘World’s Best Gin’ at the San Francisco World Spirits Competition. “We just sell a lot more of it, it’s on trend. We’ve sort of woken up to gin again. 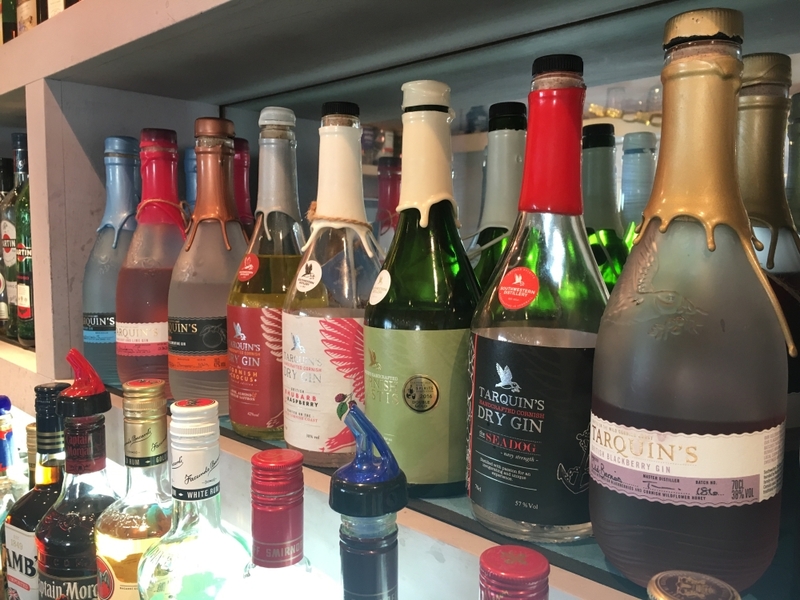 We used to just have Gordons and Bombay, and now we’ve got 60 something bottles,” he explained as he lined up his Cornish gin collection across the bar. That being said, it’ll take some more convincing than others to convert from their trusty pint. “Never!”, a punter added in whilst I was chatting with Michael about whether local pubs will ever sell more gin than pints. The popularity of gin has not only rocketed in Cornwall, but all over the country. 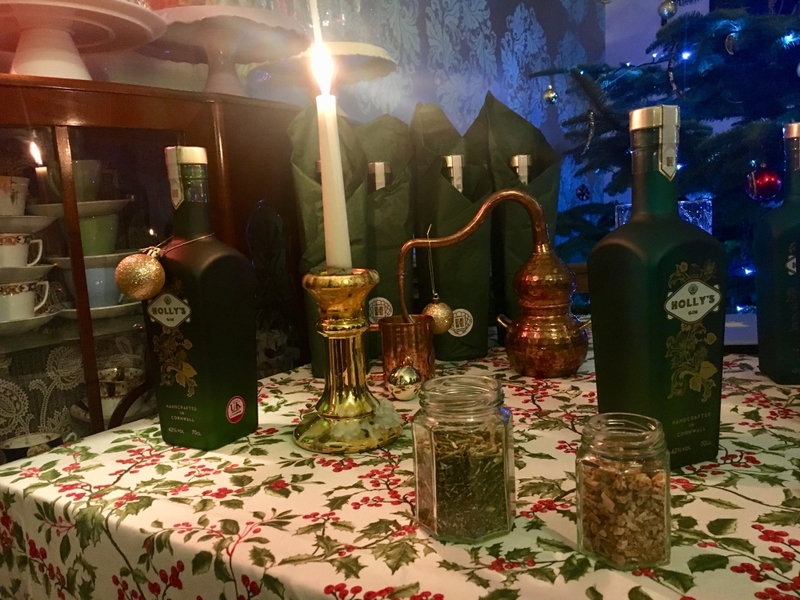 From gin advent calendars to gin subscription boxes, I think everybody will have something gin inspired under the Christmas tree this year. The novelty gins are particularly fascinating, with colour changing gin and ‘collagin’ (gin with added collagen which supposedly makes you look younger!) being two that are sure to sell out. It has gone further than just being a drink though. Gin drinking is now an immersive, interactive experience. 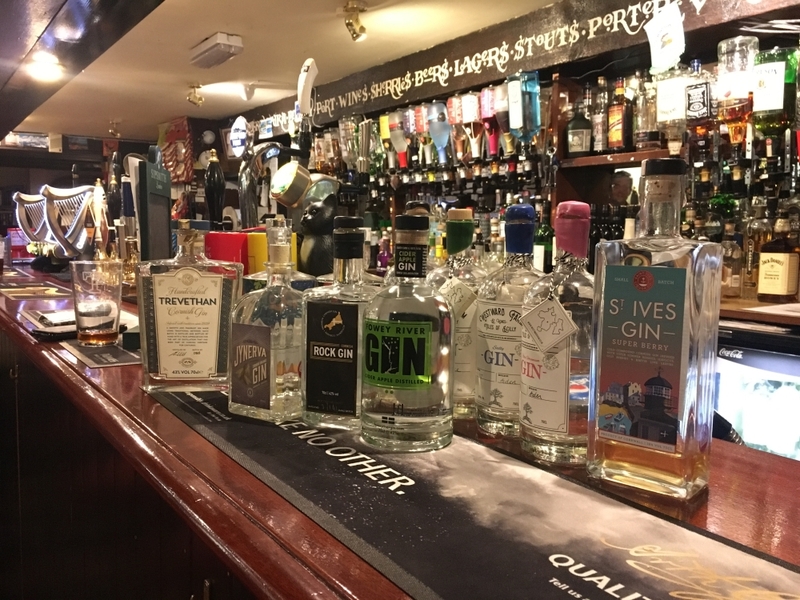 Many distilleries in Cornwall offer tours to see how your favourite spirit is made, there are tasting events, ‘G & afternoon tea’ options and all of the Wetherspoons chains in the region even hosted a 10-day gin ‘Southwest Gin Festival’.